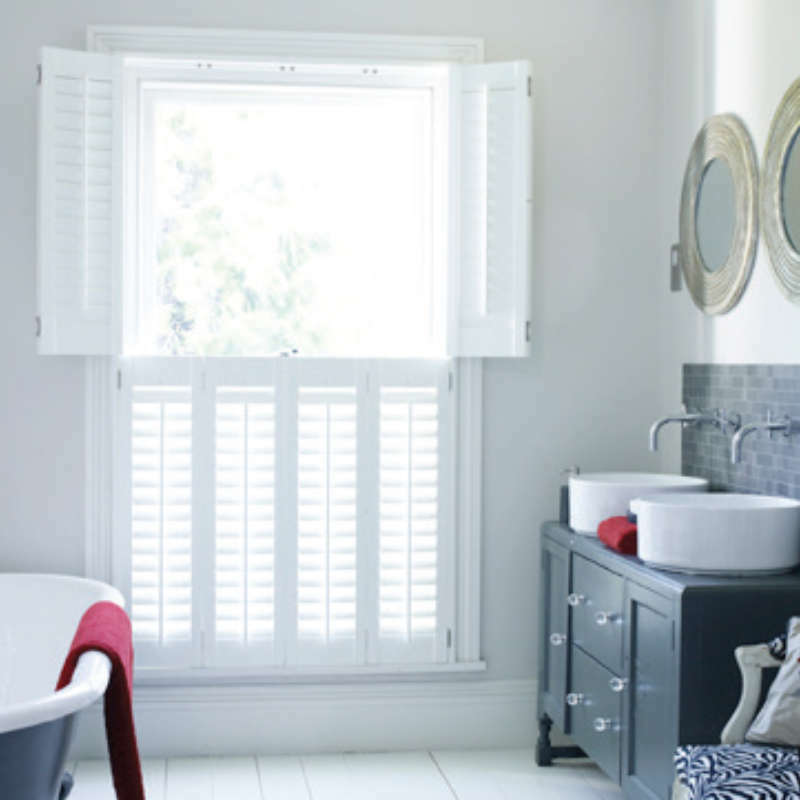 ﻿ Tier on Tier and Plantation Window Shutters… | The Great Shutter Co.
For even greater control the shutter panels can in effect be split into two to cover the window recess with one panel sitting above the other and this is known as tier on tier shutters. In general all panels are made with moveable louvers (slats) so splitting the panel into two allows fantastic control over your privacy options. You can, for example, leave the louvres in the bottom panel shut while angling the louvres in the upper panel to provide the level of light you require. Alternatively, you could just fold the upper panel out of the way so the upper window is totally free of a window covering. 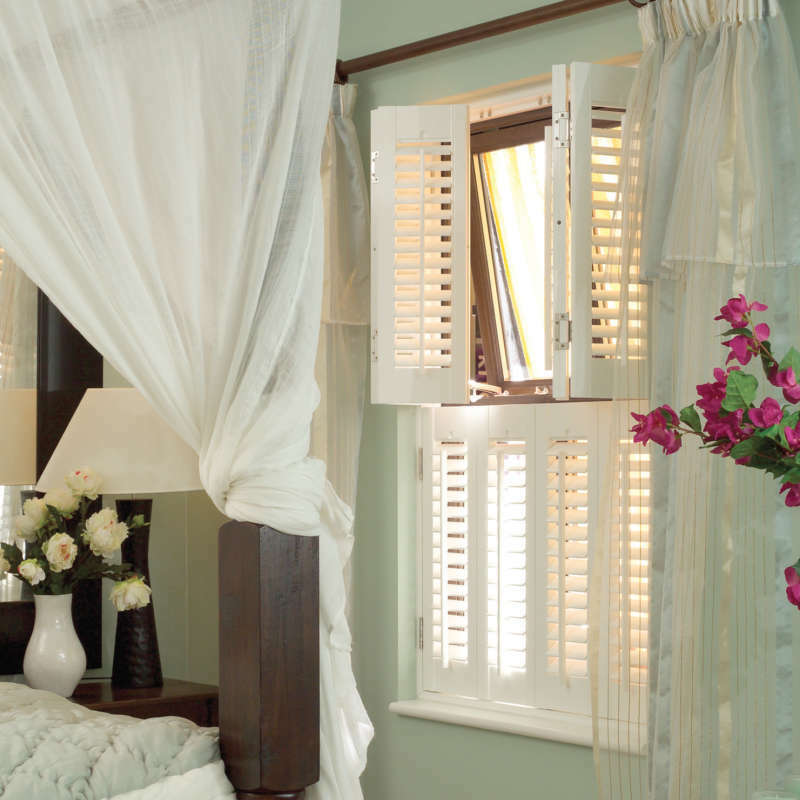 Are Tier on Tier shutters the most versatile option? 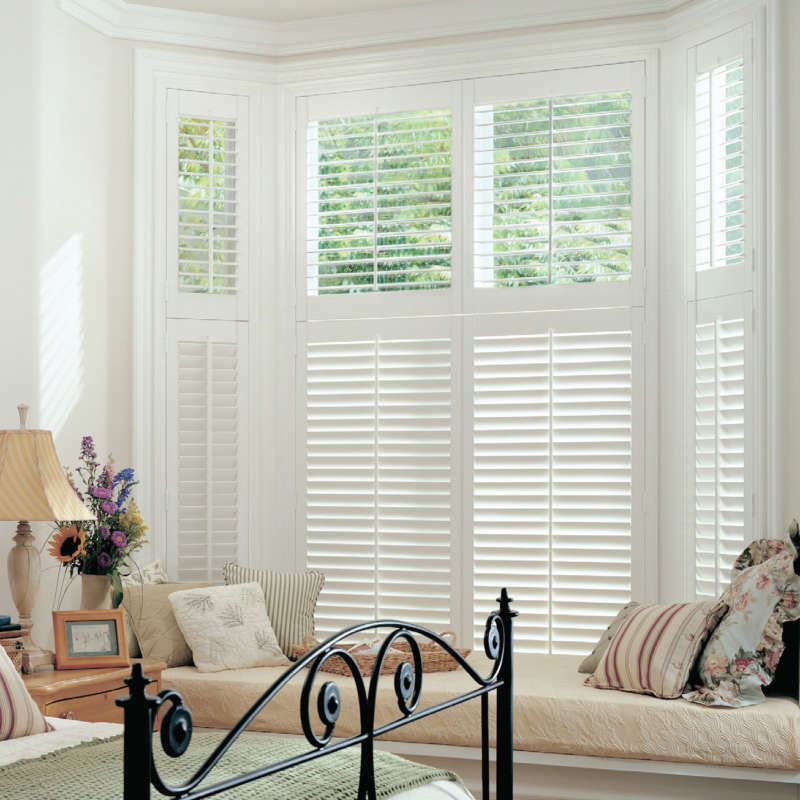 Tier on tier shutters (sometimes also known as double hung shutters) are a very versatile solution and provide a number of options in terms of how you can control light and space. 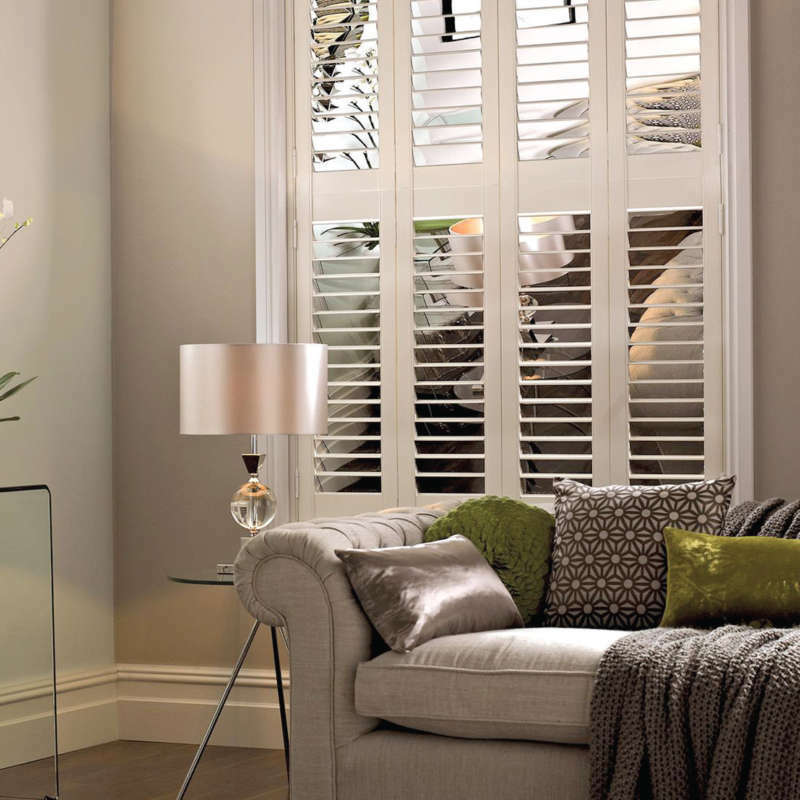 Some consumers prefer a cafe style shutter which, basically, does not cover the full window recess as they believe they will let in more natural light through the unshuttered part of the window. This is true, but the same effect can be achieved with tier on tier as both the top and bottom sections can be folded out of the way. Think stable door. So, if you want privacy then you can keep the bottom panels in situ and fold the top set out the way. If your windows are large, then you could even put mid-rails into the individual sections splitting each panel into 2. By the way you don’t need a mid-rail to split the louvered sections into 2 separate operable sections. 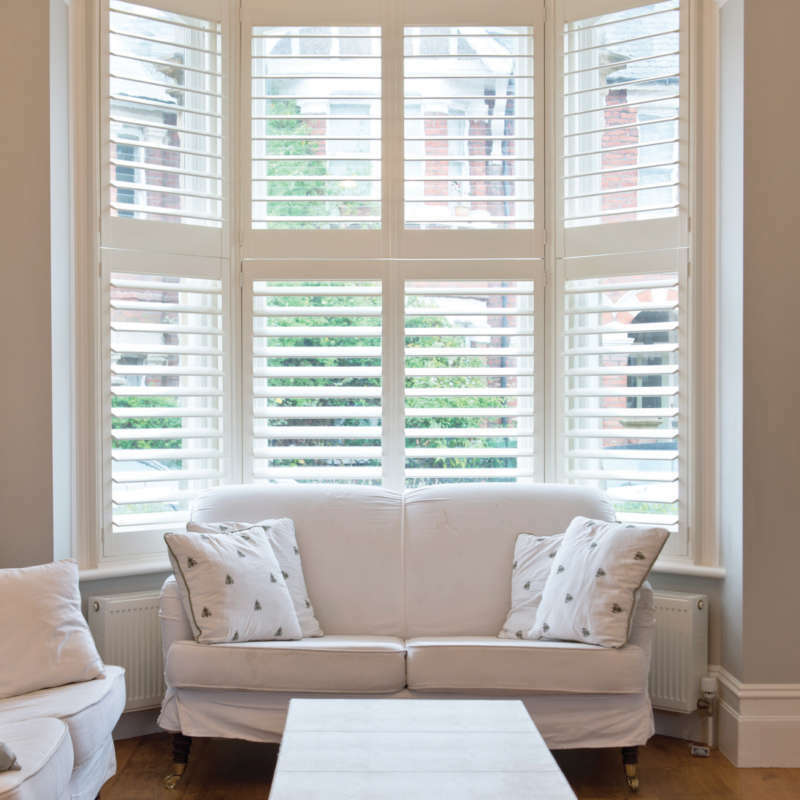 We can just add what’s called a split tilt and split the mechanism that joins the louvres meaning you have two separate sections you can operate. Are there any down sides to Tier on Tier shutters? Just as there are great things about tier on tier shutters there are also some potential down sides. 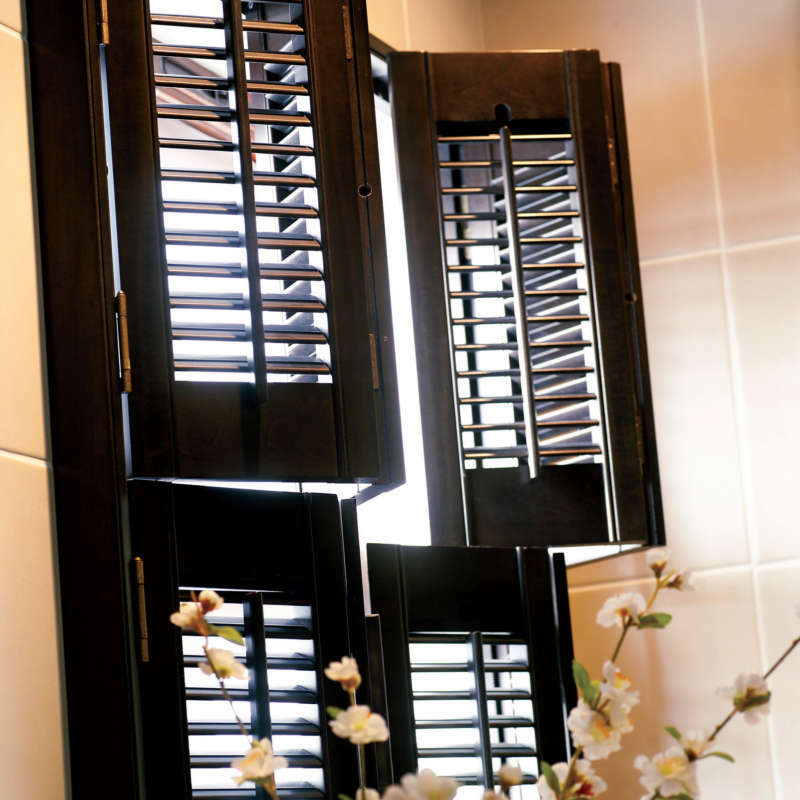 Having all those separate panels can get messy, so unless you are the type to make sure your shutters are folded out of the way in the morning (in a bay this can be a lot of panels) then maybe full height shutters are a better choice. 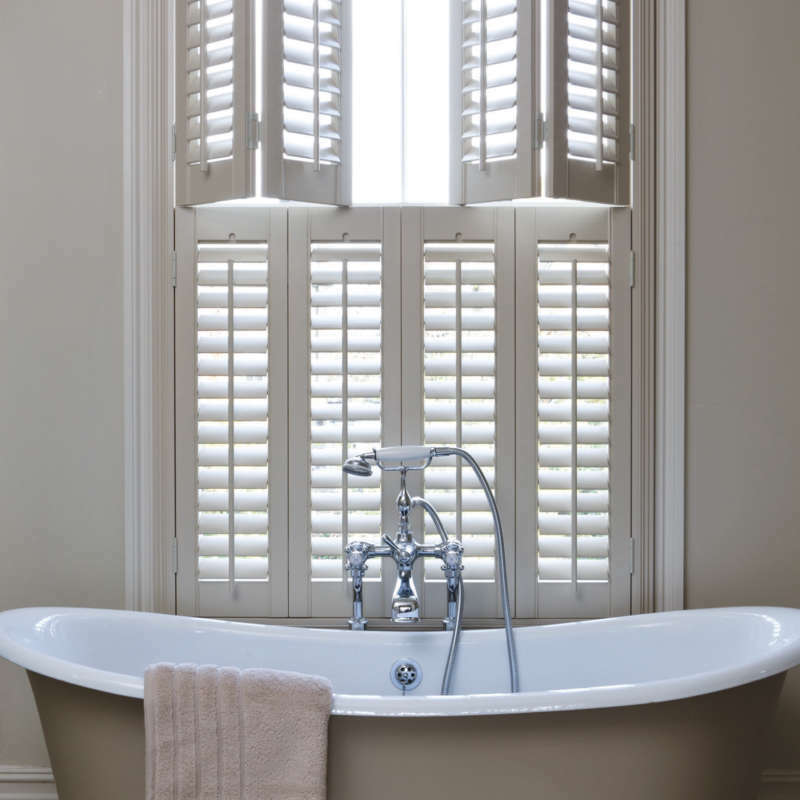 Most people, after all, just leave the shutters in situ and adjust the louvers. If you are going to do this, then don’t choose tier on tier shutters as you will, in effect, be reducing the amount you let into your room. 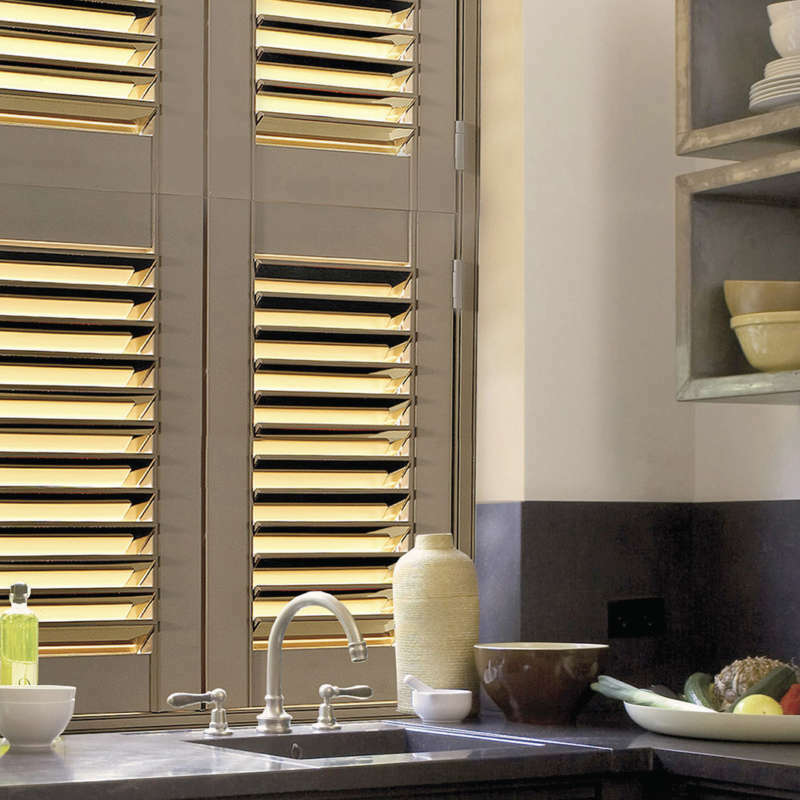 This is because the top rail and bottom rail (see our shutter terminology) of each shutter panel will create a large, un-tiltable rail across your window recess.